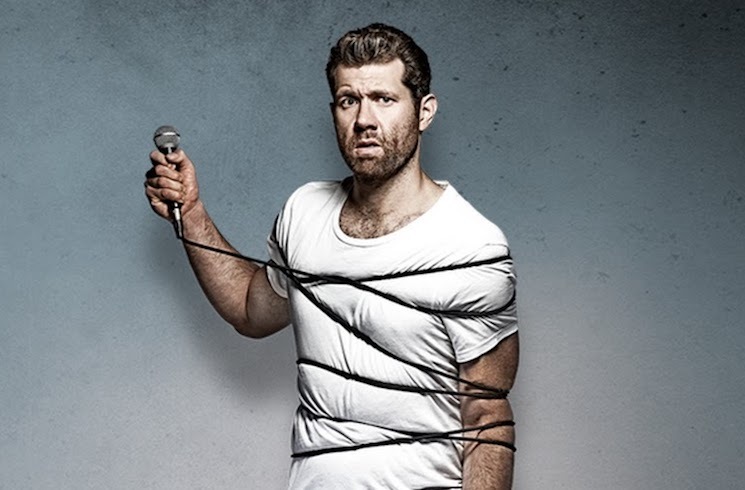 Though he'll forever be known for his criminally underrated comedy series Billy on the Street, Billy Eichner has slowly but surely been building acting credits in the world of television. He starred in Difficult People and stole scenes in both Parks & Rec and Friends from College, and now the time has come for him to dominate the world of movies. According to Deadline, Eichner will star in a rom-com that will be directed by his Friends from College boss Nicholas Stoller and produced by none other than Judd Apatow. Though details are scarce at this point, the film will reportedly follow two men who are having commitment problems but are attempting a long-term relationship. Naturally, this is great news for representation in big-budget rom-coms, as movies about gay relationships don't normally get this big of a push. In addition to the Eichner film, Apatow is also set to direct a new movie loosely based on the life of SNL star Pete Davidson.